Features extra-long floating ceramic titanium plates for better contact and faster results - quick easy curls, waves, or straight strands. Heats up in just 15 seconds and goes up to 455 degrees. 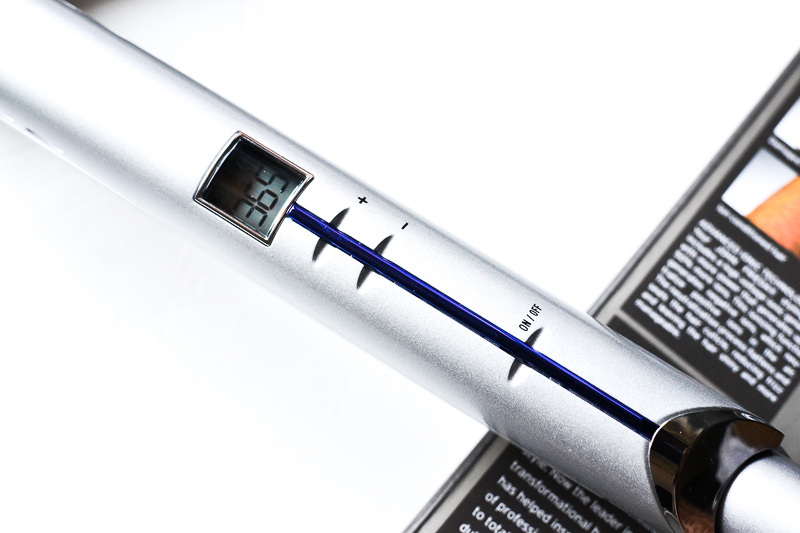 Ionic frizz-fighting technology and true ceramic heat with LCD temperature control. The controls for the flat iron are located along a thin strip and include the on/off button as well as controls for setting the temperature, which is displayed right above the settings. The customizable digital settings help choose the ideal temperture for each hair type rather than rely on a broad low-medium-high setting. 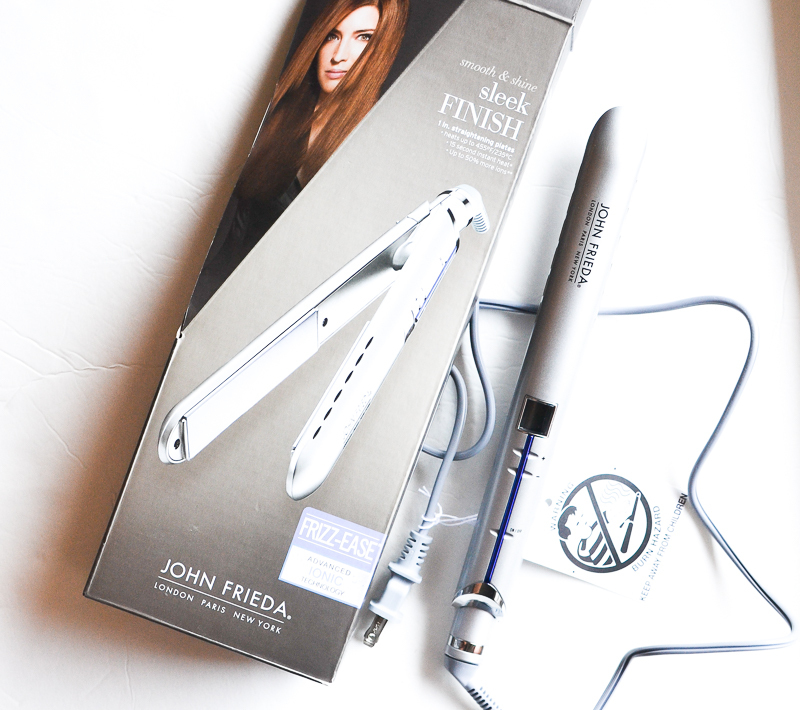 The John Frieda flat iron does a great job of heating up in a jiffy, and for those with easy-to-style fine hair, this would probably also work great at providing a smooth, sleek finish. I have thicker hair, and it took a couple of passes to get my hair straightened. 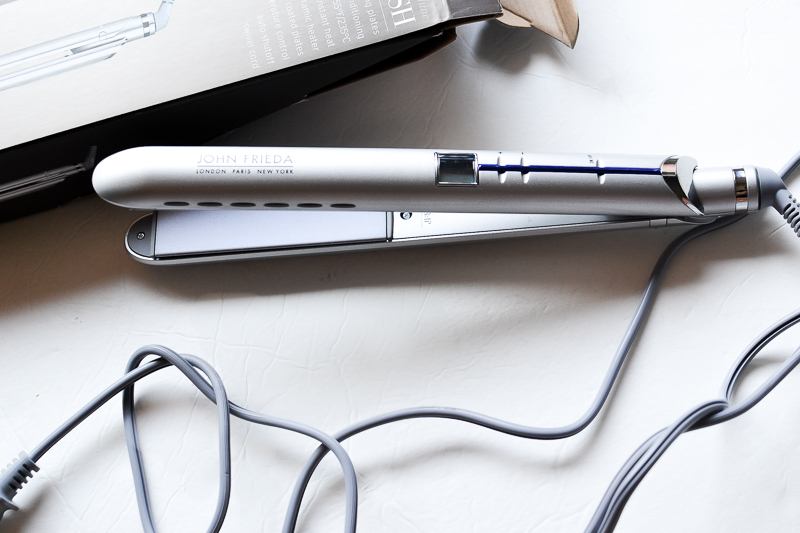 I do prefer using a lower heat setting to avoid damaging my hair further, so that could be the issue, and I did find it worked better when I blow dried my hair first before using this flat iron. Overall, despite how good the iron looks, it's not something I reach for very often. Links provided in the post are for information only and are NOT affiliate/sponsored links. Product featured in the post was provided for review.